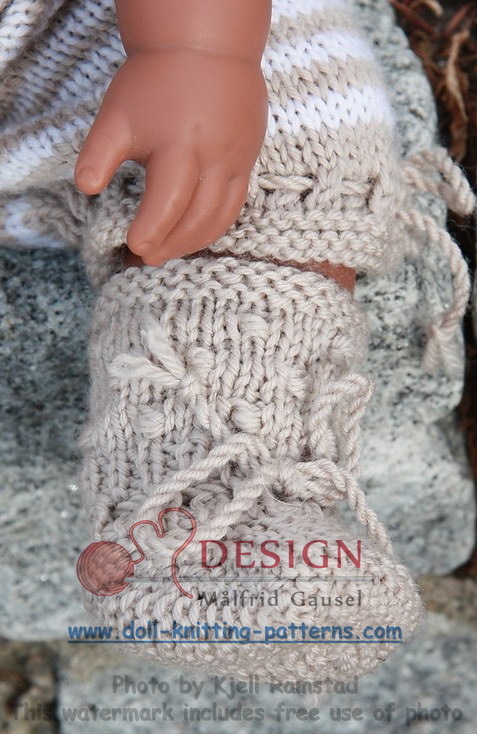 A Målfrid knitting patterns for dolls, here in beige and white. 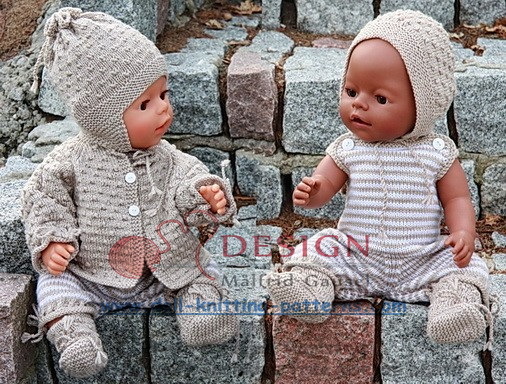 Recently Målfrid became grandma to little MIO. 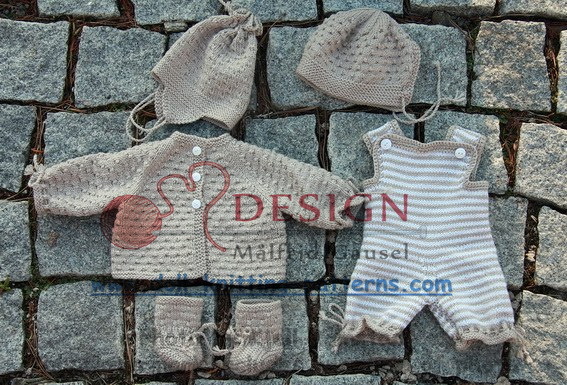 Congratalations! 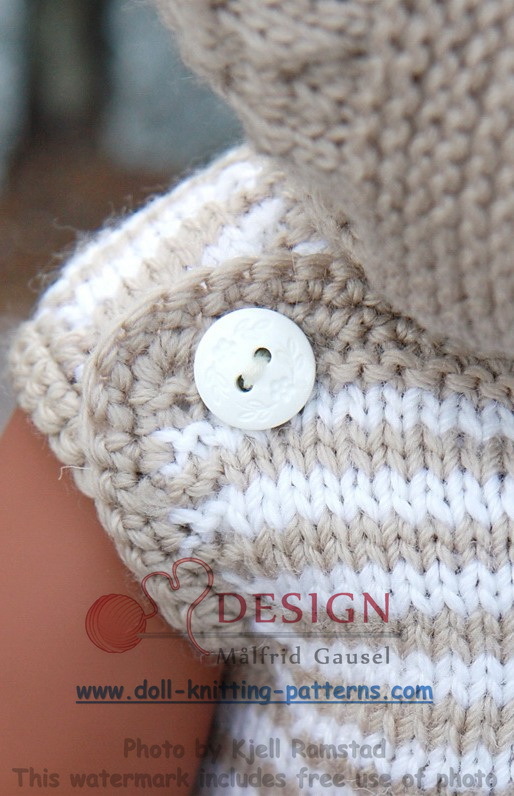 Then she designed this special pattern and named it MIO. 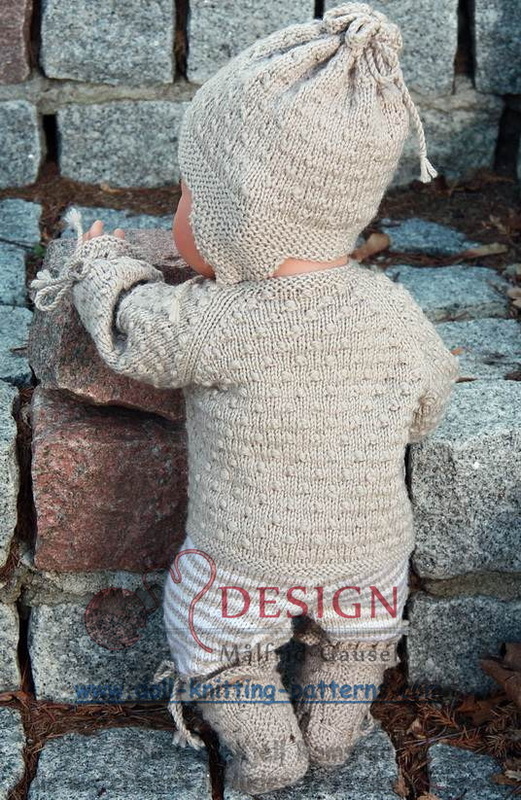 That was her first knitted oufit to her littel grandson. 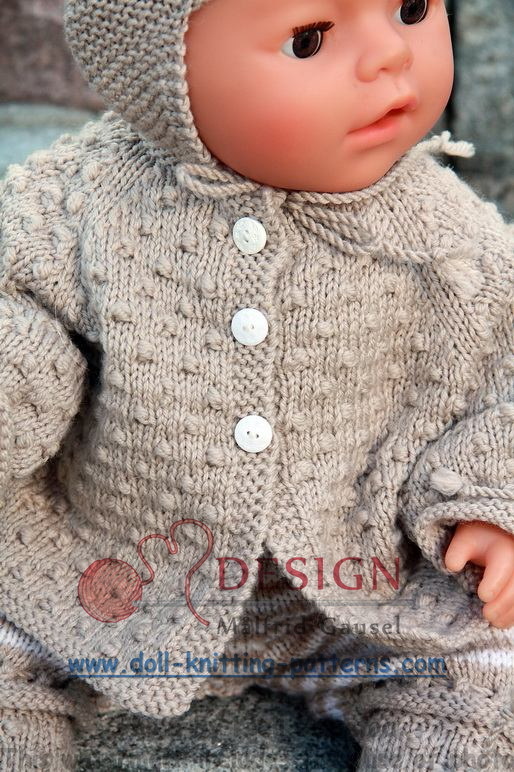 Now she downsized MIO to a doll pattern too. 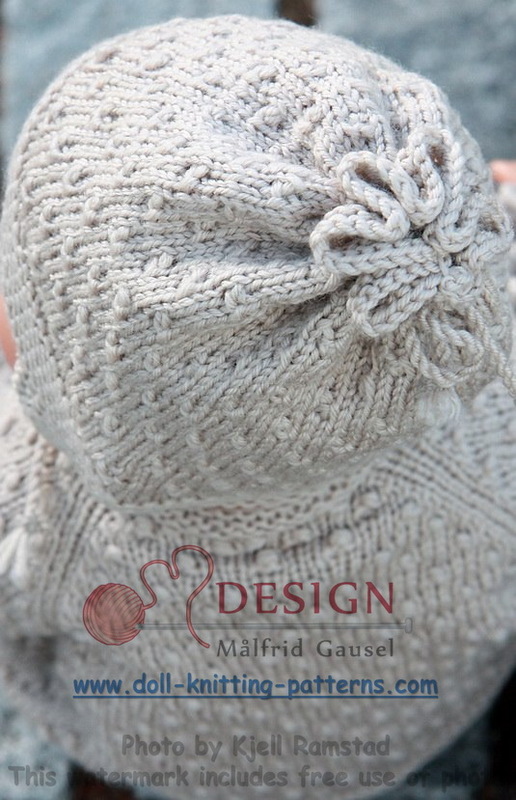 Målfrid want this special design to become available for everyone who wants to knit pattern MIO to a young friend. 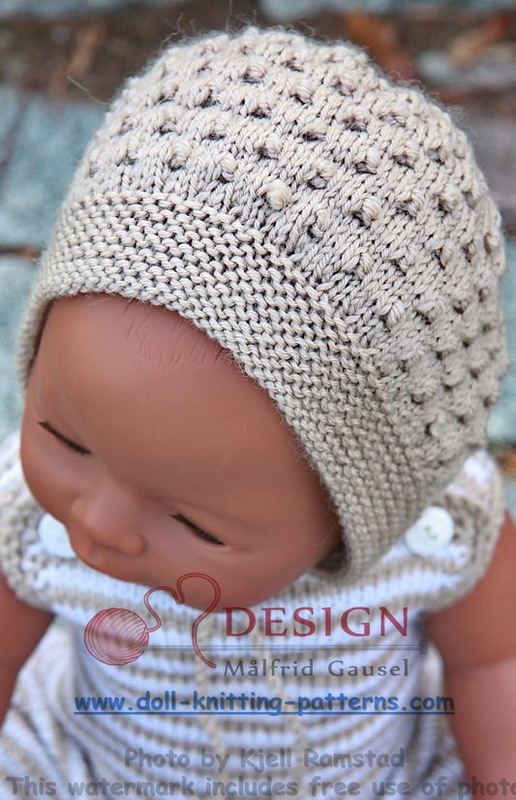 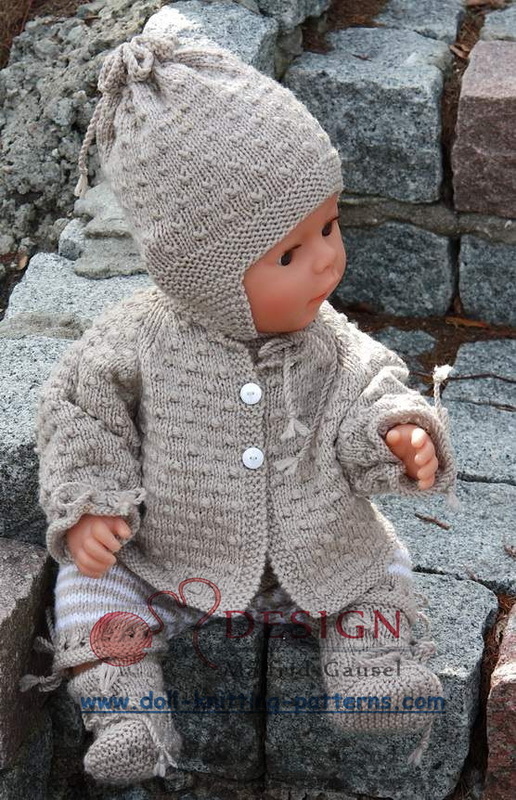 Several thousand knitters have downloaded the free pattern ANNE, we hope that the free baby pattern MIO will be just as popular. 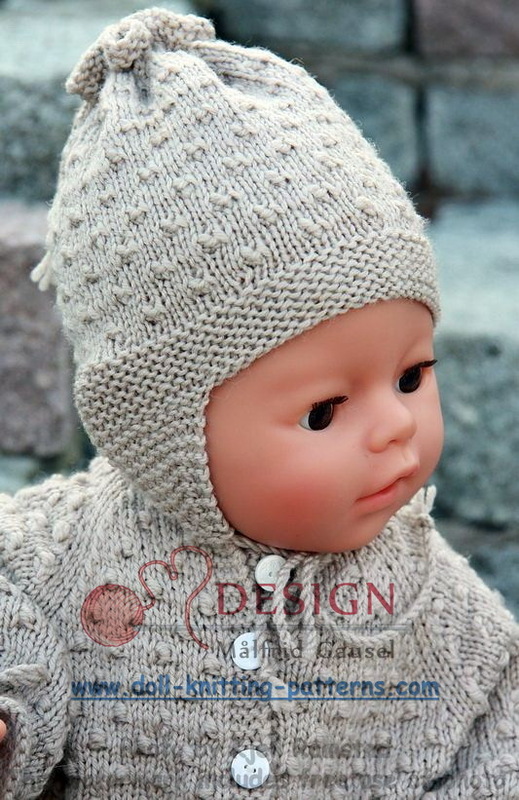 Until then you can enjoy MIO knitting pattern for dolls. 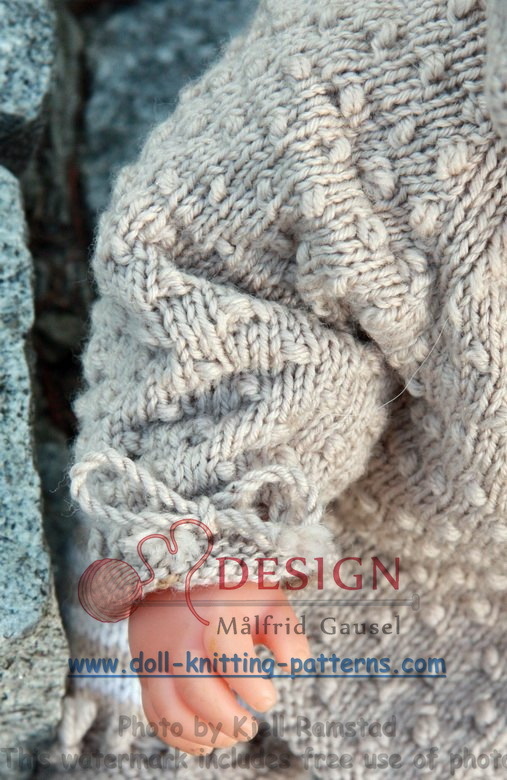 Målfrid has knitted it in a cool color combination in beige and white. 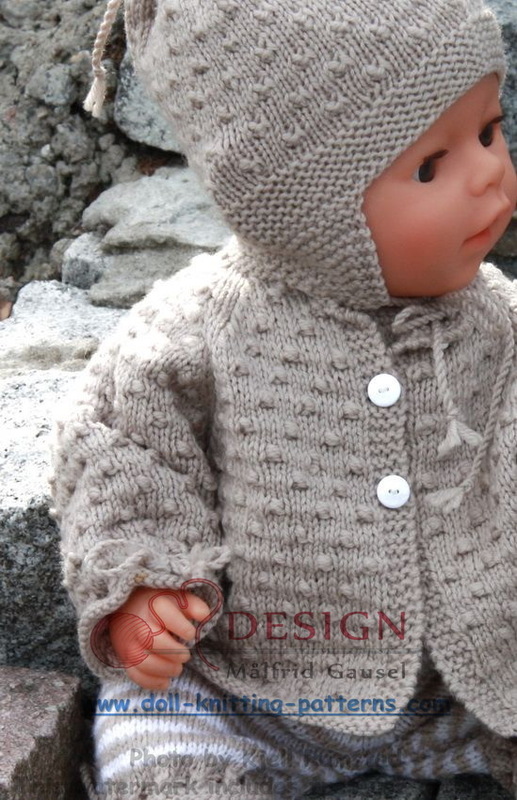 Of course you can knit it in other great colors too. 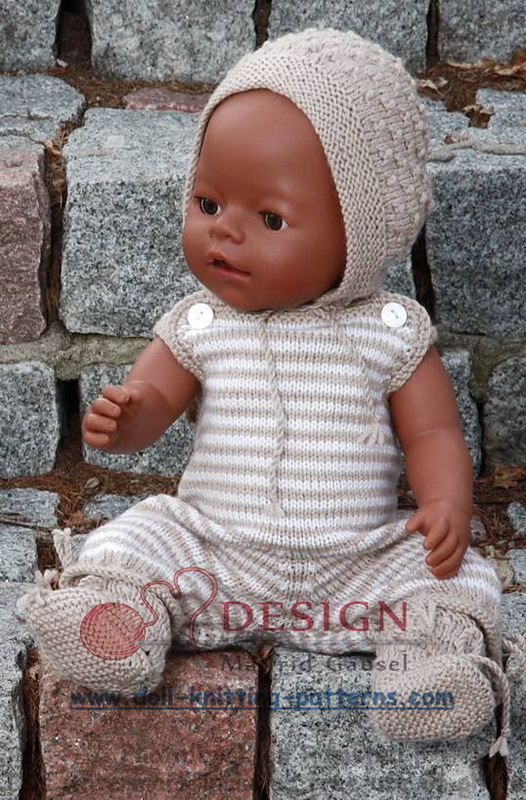 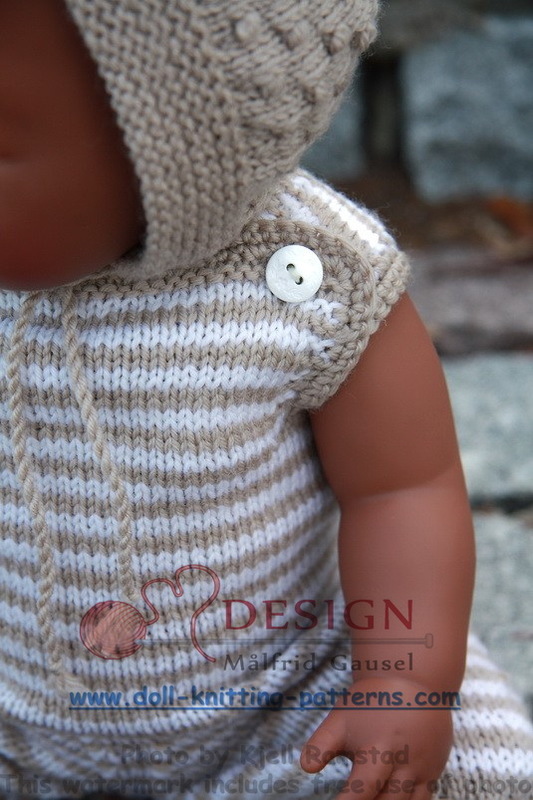 Here are more good news, now you can dress both your doll and your baby in the same design and color. 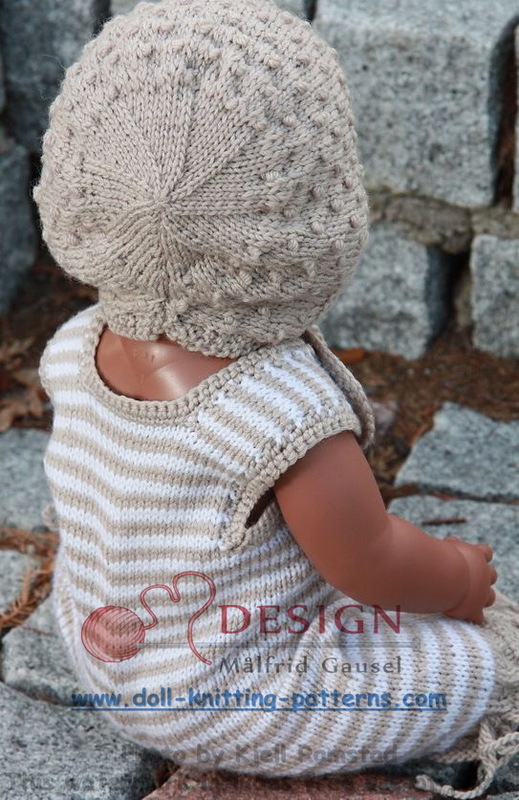 That's cool too.